Renovating your kitchen can be a highly rewarding experience. Otherwise known as “the heart of the home”, the process of picking, choosing, and curating a contemporary kitchen space can also seem like a daunting task. 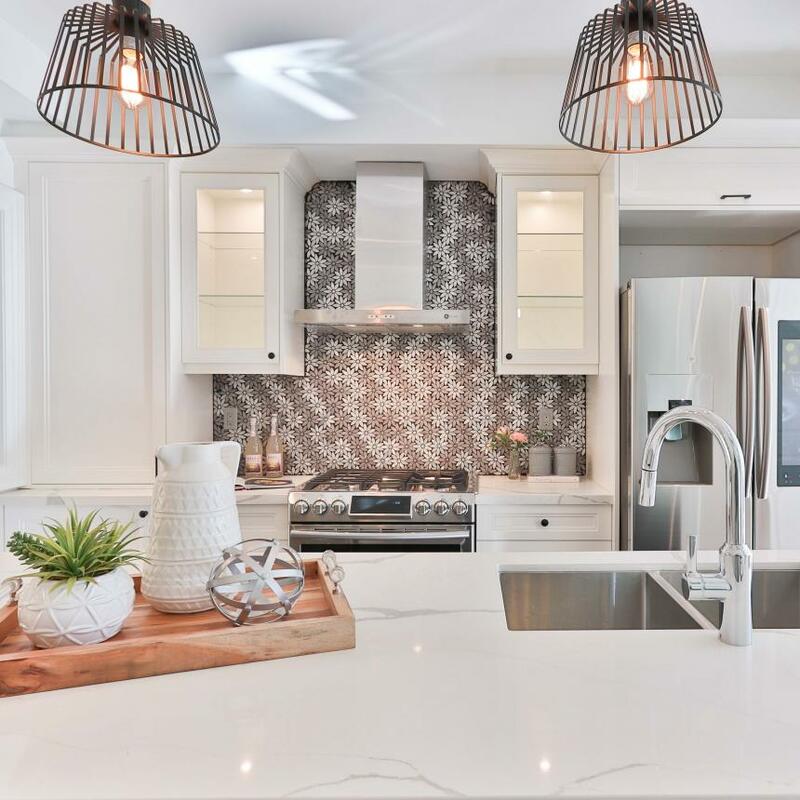 From choosing fixtures, countertops, textiles, and cabinet doors – you’ll want to ensure your kitchen is highly reflective of your personal style while also being as functional as possible for daily use. Luckily, you can rest assured knowing the highly capable team at The Door Maker has got you covered when it comes to versatile kitchen cabinets. Our MDF kitchen cabinet doors come in an array of colours and styles, and are fully customizable so that the final product fits seamlessly into the kitchen of your dreams. Today we’ll discuss how our MDF cabinet doors can make all the difference. Medium-density fiberboard (MDF) is a type of engineered wood, generally used in the manufacturing of kitchen cabinets. TDM’s array of MDF cabinet doors come in an array of colours and styles, allowing you to recreate the contemporary kitchen trends seen on interior design catalogues to the lavish kitchens showcased on HGTV. The Door Maker also offers fully customizable “build a door” options for those who are looking to achieve completely unique look. Our versatility is perfect for those looking to outfit their kitchen with unconventional design ideas when it comes to kitchen cabinets. TDM is fully capable of bringing your design idea to life. There are many benefits to opting for MDF wood cabinets. Generally, MDF doors are more economical than solid wood options. MDF cabinet doors are also not prone to warping or cracking due to fluctuations in temperature and humidity. Some finishes can also be finished to ensure water resistance – making MDF doors just as functional as they are beautiful. TDM’s high-gloss and regular PVC films are multi-layered – which are also fully thermo-formable, allowing for gleaming, highly-polished surfaces to be realized in one simple step. The Door Maker’s manufacturing process includes ensuring your MDF cabinets arrive at your doorstep in perfect condition. Once your cabinet doors are machined and glued, we apply PVC films – which are then dried in a clean environment at optimal room temperature away from direct sunlight and other sources of heat. Our process ensures that our customers are highly satisfied with the final result – perfectly crafted MDF cabinet doors that fit seamlessly into the kitchen of their dreams. Didn't realize how many benefits there were to using mdf cabinet doors in your kitchen!